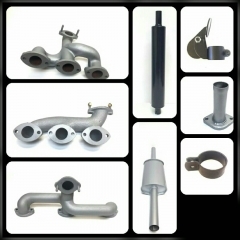 Genuine and Original Hydraulic Tipping Trailer Pipe Assembly Kit for Nuffield and Leyland tractors. If you’re looking for Leyland and Marshall two-wheel drive front axle parts check out the parts we’ve just added to the website. Most of the parts are genuine New ‘old stock’ British Leyland parts. ATJ9541 TIPPING TRAILER KIT available from stock @ £55.00 + VAT. Includes Bracket, Screws, Pipe, Adapter, Coupling, Cover, Washer, Lock Nut. Fitted as an optional extra to BMC Mini, Nuffield 4/25, Leyland 154, Leyland 184, Leyland 235, Leyland 302, Marshall 302. 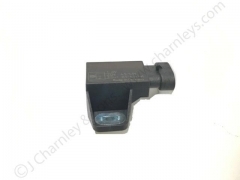 We have added Core Plugs for many tractors and engine models. Nuffield/BMC engines. Leyland all models and variations. Perkins Leyland 245 and MF35-135. Case/Cummins engine tractors. David Brown all models with 3, 4 and 6 cylinder engines. McCormick/Beta power engines 4 and 6 cylinders. Many sizes and types!! Core Plugs, Welch Plug, Core Plug, Frost Plug. Dish type, Cup type and Screw type. 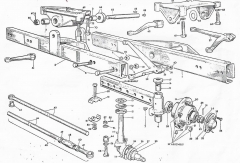 We are currently busy adding parts to the Axle and Steering section for Nuffield Tractors. We have excess stock of this Front Fender Kit, part number 714528A1 and so for a limited time we are making them available at the very special price of only £325.00 + VAT !! 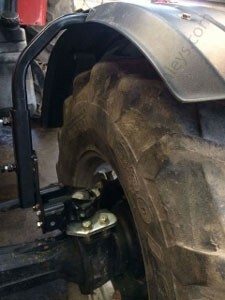 Picture shows the kit fitted to tyre size 380/85/24. It comes complete with Skin but you may require different sized skin depending on your tyre size. 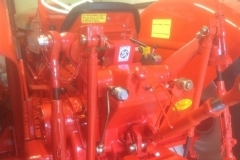 Easily fitted all McCormick MC Series and MTX Series (up to MTX150). 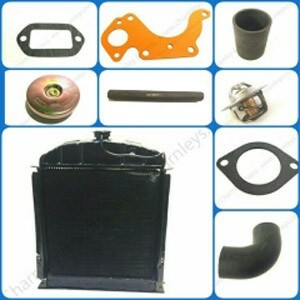 Leyland Tractor Parts - Cooling System. 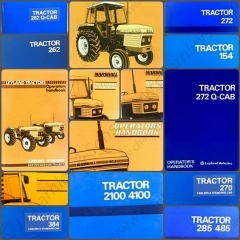 More Leyland tractor parts added to the website this week especially for the cooling system. 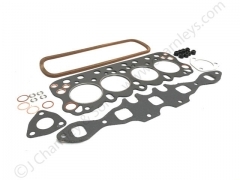 Although there are now hundreds of parts listed on the website it really is only a fraction of the new, genuine and original parts that we have in stock. To see what we have listed follow one of the links below. 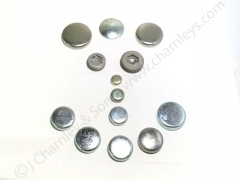 If you don't see what you're looking for give us a call: 01254854103 or email: stores@charnleys.com. 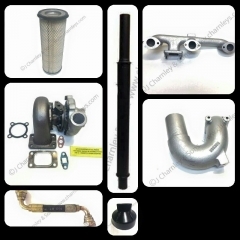 Leyland 282 - Leyland 482 - Leyland 802 - Leyland 804 - Marshall 802 - Marshall 804 - Marshall 802XL - Marshall 804XL - Marshall 904XL Here's a small selection of the Turbo Exhaust and Air Cleaner parts that we've recently added. There are many, many more . 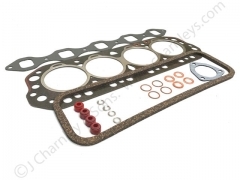 . . HKJ38 MANIFOLD, GHF202 NUT, 96K492 TURBO, 96K493 GASKET, 96K494 GASKET, 96K505 GASKET, 96K498 GASKET, CTJ8549 DECAL, 96K629 HOSE, 96K352 ELBOW, SH108301 BOLT, BH108221 BOLT, CTJ8105 TURBO PIPE, CTJ8106 EXHAUST CLIP, NTK241 RAIN CAP, NTK1470 SILENCER, 96K491 HOSE, HKJ2215 RECONDITIONED TURBO, CTJ7963 LONG STUD, HKJ2241 OIL PIPE ASSEMBLY, CTJ8287 AIR CLEANER ASSEMBLY, BAU1895 AIR FILTER, ABU7364 VALVE, CTJ8286 HOSE, CTJ8118 INTAKE PIPE, CTJ8115 AIR HOSE, AKU1033 OIL FILTER. As always, we are only a phone call or email away. Contact us if you need more information.